Cortijos - Turismo de Íllora - Granada - Descúbrela paso a paso. 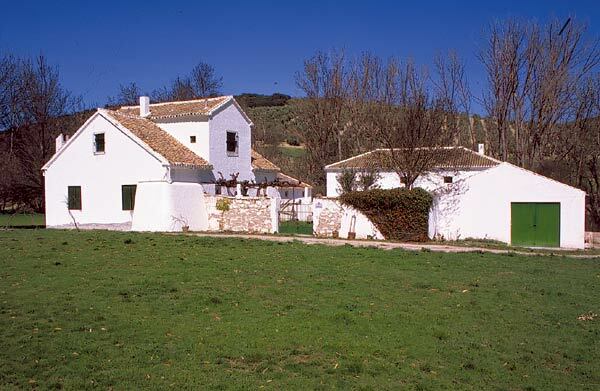 Named cortijo in spanish are those building who are built outside the village in order to live on a land and to enjoy rural andalusian landescapes. They usually were a mixter of house and farm, etc. All because they wanted to mix the farmland with the living. In order to build them, they normally used material found around the house and they were usually built by the owners. Those properties used to be social and economical life out of town. Most of them are being left by the owners in order to live down town. A property used to have a main house and next to it a part for grain or other uses. The way they were built by stones and rural material, it is said that in the moors of such a property summers are cool. in the last years a lot of cortijos are in ruin but nowadays a lot of foreigners are rebuilding them in order to have a property in spain. On the pictures you can see two properties in use nowadays.